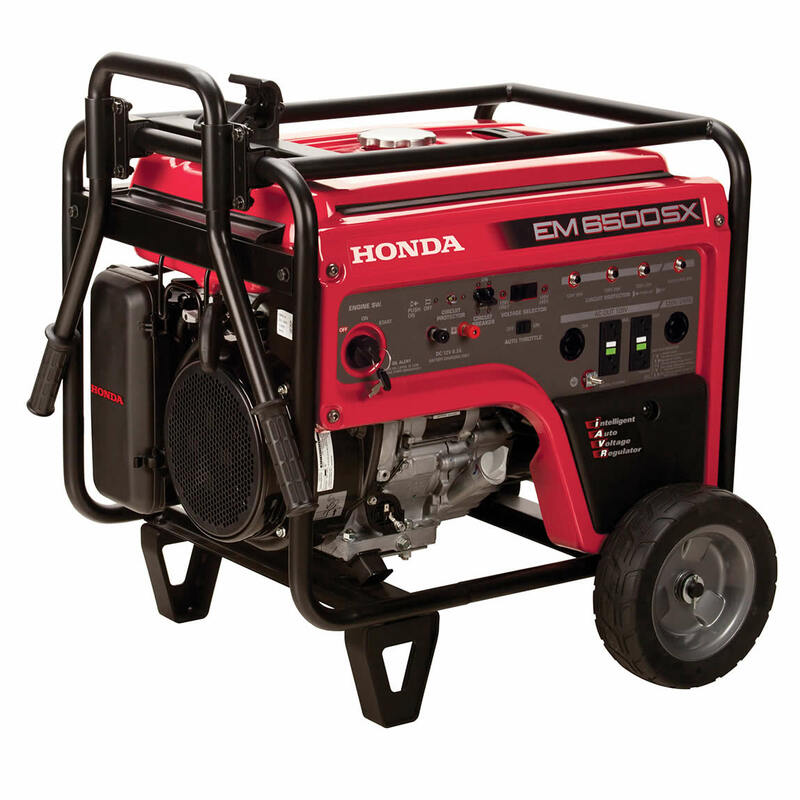 The Honda EM5000SXK3 Gas Powered Generator provides 5,000 watts of power and is designed for use on construction sites and for home back-up. 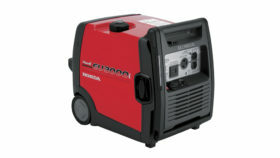 The generator has built-in wheels and a folding handle for easy transportation. 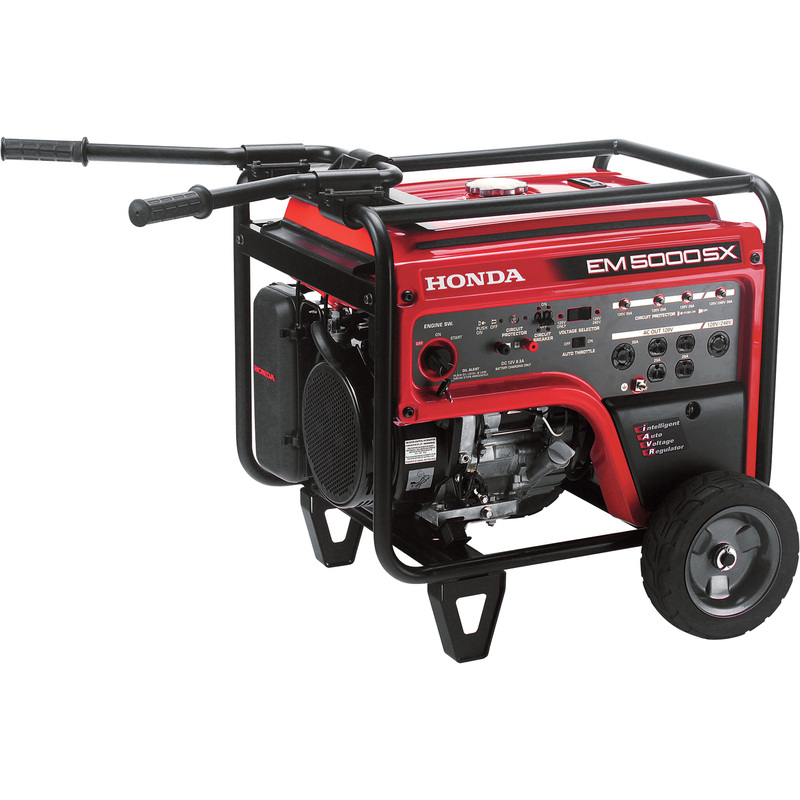 iAVR Output – 7000W (58.3/29.2A) for 10 sec. 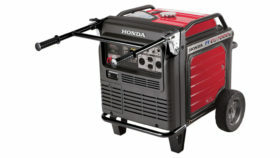 $2,359.00 6-Point Service Price (Pro-assembly with Free gas/oil, Safety & Maintenance Demo, $30 value 1st Break-In Service, Lifetime oil change on 4-cycle gear). Pre-order and get In-store pick-up. $2,299.95 Cash Price, in-store pick-up (Pro-assembly with Free gas/oil, $30 value 1st Break-In Service, Lifetime oil change on 4-cycle gear, and safety & maintenance demo).